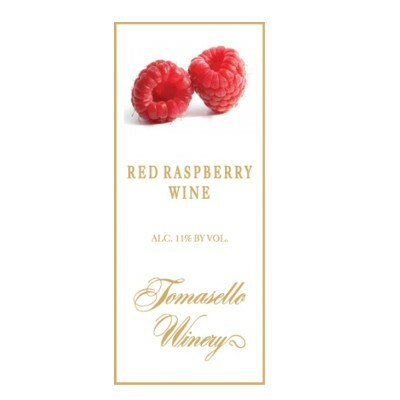 Tomasello Red Raspberry Wine is made from 100% Willamette raspberries. Intense fruit flavor from start to finish, there is a perfect balance of sweetness and acidity. Tomasello Red Raspberry is the perfect complement to chocolate and decadent desserts. Made from 100% Willamette raspberries. Intense raspberry flavor from start to finish. There is a perfect balance of sweetness and acidity. Tomasello Red Raspberry is the perfect compliment to chocolate and chocolate desserts. The acidity of the Red Raspberry cuts through the sweetness of the chocolate leaving your palette clean without being overly thick. We suggest a rich Chocolate Paté.